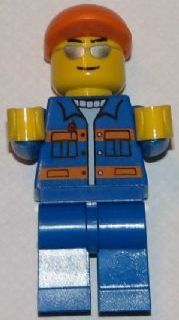 The official name of this minifigure is not known. Although this article is based on an official minifigure confirmed to exist, the name of the article is merely a conjecture. Space Technician Two is a City Space minifigure. He is exclusive to the set 3368 Space Centre. Facts about "Space Technician Two"